XMAX is a blockchain ecosystem and a set of developer tools built to support the next-generation of blockchain entertainment. The XMAX team is on a mission to bring decentralized applications (DApps) to the world by empowering developers with the tools to simplify blockchain development. 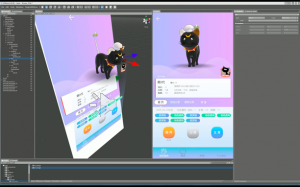 In addition to providing a “blockchain operating system” for entertainment and games, the XMAX Studio Developer tools will focus on community-based features which will help smaller projects grow with their user-bases. The idea is to bridge the divide which exists between smaller developers creating their applications in isolation and the community which will be able to actively participate in development decisions via smart contract voting. Currently, the project is openly developing their blockchain framework on GitHub (http://bit.ly/xmaxdev) as well as publishing weekly progress updates on their Medium block, THE XMAX GALAXY NETWORK. This project includes many members and investors with experience in corporate and indie game publishing, as well as some of the founders of the 3AM Sleepless Blockchain group a very large blockchain community in Asia. They have participated in numerous blockchain conferences including the World Blockchain Conference in Macau, and their team members have traveled the world building the community. The future of XMAX depends on not only their technical development but also on their emphasis on education and the ecosystem community which is growing by the day.